Rec League Sports helps you manage a team of players and prepare for games. Rec League Soccer helps manage a team of players and prepare for games. Add players to your team. 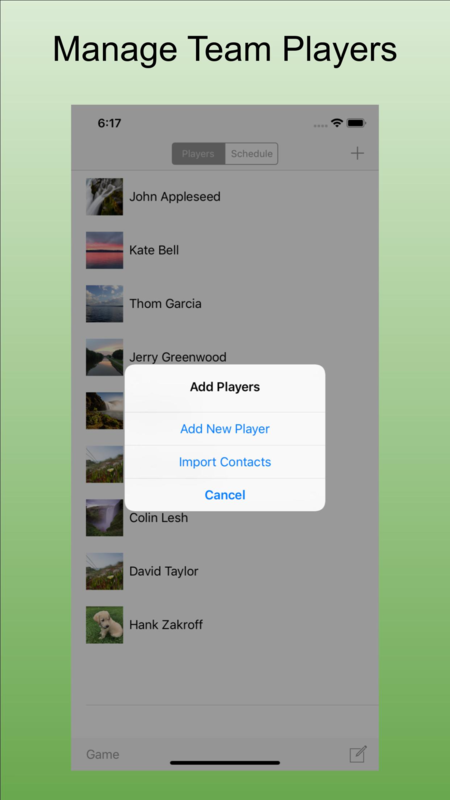 Import players from your Contacts. 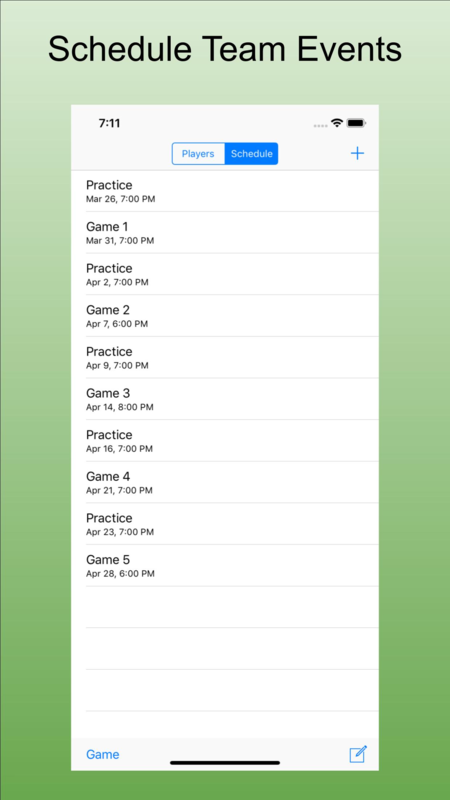 Schedule events in your Calendar, like games or practices. Send a message to the whole team. 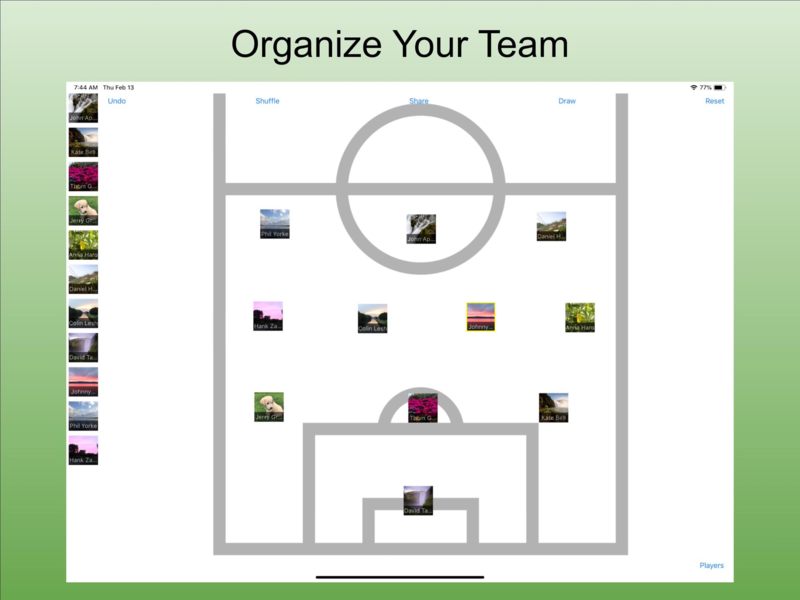 Assign player a picture from your Photos or Camera. Keep track of who's playing or not playing. Call, email, or message a player directly. 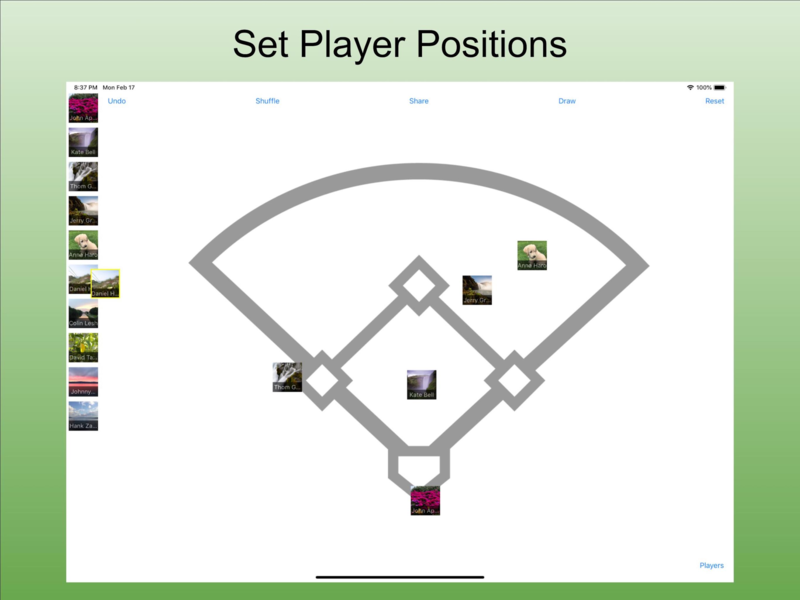 Select a player to set position. 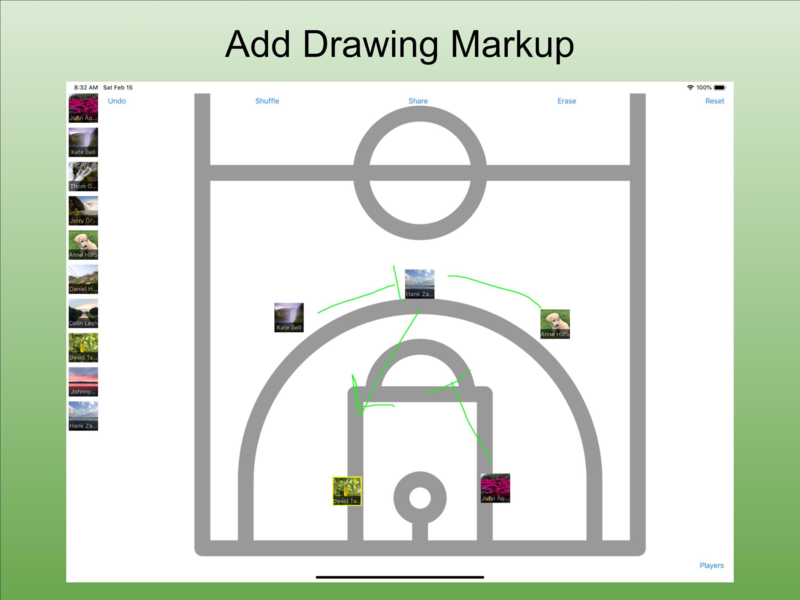 Assign player positions by dragging them onto the field. Select a player to see which position they are playing. 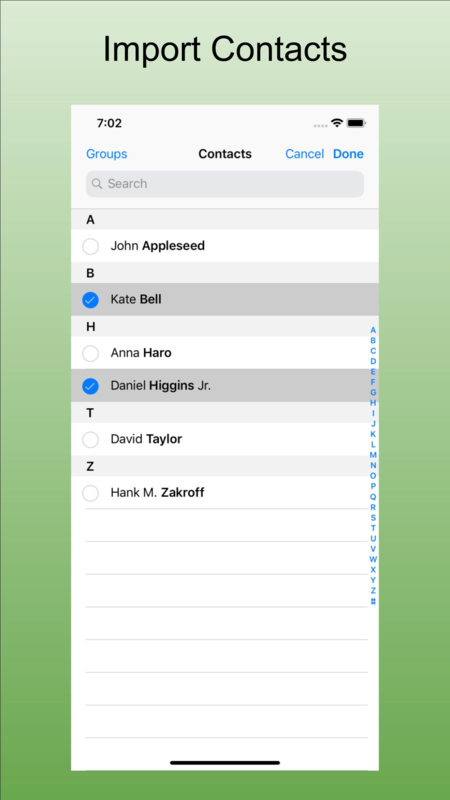 Drag and drop players up or down to change order. Reset all player positions on the field. Undo the last player position.